Who was Mary (Todd) Lincoln? Mary (Todd) Lincoln was the wife of President Abraham Lincoln. 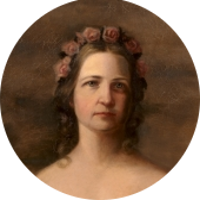 Before she married Abraham Lincoln, Mary Todd was courted by Stephen Douglas, a political opponent of her husband and famous for the Lincoln-Douglas debates. Unfortunately tragedy seemed to be a common theme in Mary's life. In addition to witnessing the assassination of her husband at the hands of actor John Wilkes Booth, she also lived to see the deaths of three of her four children. In later life, Mary would become estranged with her only surviving son Robert Todd Lincoln. He would have her committed to an insane asylum from which she would eventually be released after rousing the public to her side. Mary (Todd) Lincoln was the daughter of a Lexington, Kentucky banker named Robert Smith Todd. She belonged to a large, wealthy, slaveholding family and grew up in relative comfort. Her sister Elizabeth married the son of Illinois Governor Ninian Edwards. Her sister Julia was married to the editor of the Illinois State Journal and son of U.S. Senator David Baker from Illinois. A sister Emilie was married to Confederate General Benjamin Helm who was the son of Kentucky Governor John Helm. General Helm was killed during the Civil War at Chickamauga. Mary (Todd) Lincoln had several brothers who served in the Confederate army during the Civil War. Her brother Alexander was killed at Baton Rouge. Her brother Samuel was killed at the Battle of Shiloh and her brother David was wounded at Vicksburg. Mary (Todd) Lincoln's known North American ancestry only goes back a few generations before it leads back to Ireland or Scotland. It doesn't leave much room for family connections to other famous Americans. However there is one noted individual and that is Dr. Ephraim McDowell. Dr. McDowell is known as the “Father of Ovariotomy” as he was the first person to successfully remove an ovarian tumor. He is regarded as a pioneer in abdominal surgery. Ephraim's father was a Colonel during the American Revolution. His great-grandfather, also named Ephraim McDowell, was a Scots-Irish patriot during the English Revolution of 1688 which led to the overthrow of King James II.